There is no question that the decision to live off the grid will present many challenges, as will bugging out to a survival group or other safe location. Interestingly enough, it can also be very hazardous to stay at home during and after a major crisis or upheaval. Ultimately, there are five, relatively simple but often overlooked things you should try to avoid at all cost. While it may take a bit of work to ensure you do not fall into these traps, it can save you time, money, and well-being in the long run. If you have been actively prepping, then you are always thinking about ways to improve your situational awareness. As with so many other things in life, sometimes it is very hard to distinguish between routine background elements of your life that won’t matter in a crisis situation, and those that will. Today, many people that are working on their survival plans figure that if the situation is bad enough, local, state, and federal governments won’t be around or able to enforce the kinds of regulations that make it difficult to store and operate necessary survival equipment. These very same people are unaware that we are living in a world with a global government that can and will send troops, and other forms of “support” to governing bodies that can no longer control or manage any given situation. No matter what happens in life, chances are you will just want to be in your own home where you can get something to eat, go to bed, or take a shower. Your home isn’t just a place where you carry out the daily tasks associated with taking care of yourself, it is your ultimate safe haven. In fact, even when people are very sick and need extensive care in a hospital, they always tend to feel safer at home and want to return as soon as possible. On the other hand, there can be any number of situations where being at home can pose more of a risk than being somewhere else. In a post crisis world, it is anyone’s guess which option will be better for you. Even in a flood, earthquake, or hurricane scenario, the house next to you may be demolished while yours remains relatively unscathed. Never simply avoid looking at the fact that your home may be too dangerous to stay in before, during, and after a crisis period. The floors, walls, or roof are in disrepair. Chances are, you would be amazed at how many people have enormous credit card, mortgage, and car payment loads even as their home is propped up on jacks or they need 5 gallon buckets to catch leaks from the roof when it rains. A home that is in this condition may seem like “home” to you, and impossible to leave, however it can spell death for you in a crisis scenario. While you may feel “at peace” with that kind of ending, you may find yourself thinking and feeling differently when you or a loved one are pinned under a beam and screaming for hours or days for help that may not arrive. Your debt profile and how it impacts where you live. There is no question that many people quagmired in debt would not necessarily mind an upheaval that essentially causes all debts to be excused. Waiting for such an event and thinking that you can survive in your current home is about as rational as believing drinking poisoned Kool-Aide will get you to the promised land courtesy of Hale Bopp. Make sure that you understand how your debt and income profiles affect your ability to bring your home up to suitable standards or how your finances prevent you from getting into a safer apartment or neighborhood. If you need to let go of other prepping activities in favor of focusing on these matters (and resolving them), then do not hesitate to do so. You can always go back to more conventional elements of prepping once you have secured a safer home for bugging in. That being said, while you are tending financial matters, you can still be amassing information and fine tuning your plans so that you know what to buy, where to get it, and how to use it. Just because you start each day off with a shower and a decent breakfast, it does not mean that you know enough to survive a major crisis scenario staying at home. In fact, many of the habits you take for granted may prove fatal in certain conditions. Consider a situation where you are decided to bug in during a hurricane or other massive flooding. Chances are, if you live in a city or town, then you will also be relying on municipal water or other local water supplies that may have been contaminated by sewer system overruns. As strange as it may seem, when people hear a “boil water” advisory for cooking, they will still hop in the shower and assume that the water is clean enough to wash their bodies with! Not only will you run the risk of exposing yourself to raw sewage and all kinds of dangerous chemicals, but you may also wind up being exposed to any number of deadly diseases. How bathing and other hygiene protocols will change in a survival scenario. Even being a frequent camper and outdoor activity person cannot truly prepare you for days on end where you will need to conserve water and must use bath wipes and other resources to keep your skin and teeth in reasonably good condition. Changes in cooking and food preparation routines. If you are the type that stores up and stocks up on frozen foods or pre-packaged meals, everything will be lost when there is no power to run refrigerators and freezers. To add insult to injury, if your cooking skills don’t go much beyond the coffee maker and the microwave, you will find it very hard to safely manage a propane stove or an open fire. Needless to say, if you decided on bugging in so that you could avoid “outdoorsy” scenarios, then you may find yourself at a distinct disadvantage even though you are in your own home. Changes in how you manage medical conditions and needs. Even though you can buy a virtual pharmacy of useful herbal remedies, the vast majority of people don’t know how to choose good quality products let alone use them to their best advantage. To make matters even worse, there tends to be a distinct lack of interest in topics such as bystander CPR, general and advanced first aid, and emerging trends in medical technologies. While you may have no interest in being a doctor or other type of medical provider, that does not mean you should avoid learning how to splint a broken bone or stop excessive bleeding. It is also very important to keep up with new learning in the field of medicine. Many things that were thought to be true about various conditions are being disproven. As a case in point, do some research on leaky gut syndrome and find out about all the conditions it can lead to. If you are suffering with any of these conditions, you can put yourself at an advantage by looking for alternatives that will restore your well-being instead of hoping that your medicine stockpile will get you through a crisis situation. The words “situation awareness” often bring dark alleys, gun shots, and martial arts smooth moves to mind. Sadly, the more active your imagination may be on this matter, the less prepared you will actually be to defend yourself or escape during a house invasion or riot. No matter how calm and cool you think you will be in a situation, rest assured that adrenalin alone will have you shaking as every thought flees from your mind, and your punches and kicks seem to be moving through some weird goo and miss their target. If you have never been in a real street fight or had to pull a knife/gun or use it on an attacker, then you truly don’t know what is involved let alone how to defend yourself and your home from multiple attackers. Never assume that being in your own home will mean you are safe regardless of the condition of society. Dedicating the term “situation awareness” to self-defense alone. This particular term can be applied to just about any area of life. Invariably, the more you know about what is going on around you and within yourself, the more you will discover needs to be done. Lack of structuring your home’s internal landscape. Regardless of the neighborhood or how nice you want your home to look, there are some disastrous orientations of furniture that will make it very easy for attackers to get in and take over your home. Make sure that you know how to use fields of fire and how to direct invaders to locations where you can deal with them more easily. Do not assume that this is sufficient. If you have a gun, practice hitting targets in these areas with the laser sights, throw knives, shoot soft darts, and practice with rubber arrows. The more muscle memory you have and the more confidence you have in the fields of fire within your home, the better chance you will have of defending it and yourself. An accurate understanding of human behavior and intentions. In crisis scenarios, it is all too easy to become paranoid and lose all sense of how people can work together to overcome a crisis. Always make sure that you know when to defend yourself with words or how to shift a situation to your advantage. Simply “shooting and asking questions later” can easily leave you as a target for gangs and just about anyone else that sees you as a threat. This in turn, can make it difficult, if not impossible to get out of the situation alive, especially as others begin working together and rebuilding the area. There are many situations where you may decide that you would simply rather die in your home than face all that goes with trying to bug out. As many people in 9/11, hurricane and tsunami zones have learned, you don’t always have a choice about whether or not you will survive the actual crisis event. No matter whether you stepped away from your home at a critical moment or some other event leaves you as a survivor, you may well find out that you are alive and relatively well, but can no longer live in your home. Lack of an exit plan from this type of situation can prove worse than fatal. Never forget that others around you that may have passed on or been badly injured would give anything to have what you have now. The names and locations of friends or relatives in near and distant locations that can give you a place to stay in time of need. Often, the hardest part of bugging out is the fear that you will have no place to go. At the very least, if you have a person or location in mind, then you can focus on that goal and use it as a means to get started moving out of the crisis zone. A bug out bag that has the tools required for navigation, food gathering, food preparation, water purification, and basic medical supplies. If you are traveling to an area with a different climate, then be sure to wear layers of clothes that will enable you to avoid common pitfalls. This may include clothes that will help you stave off frostbite as well as ones that will help prevent heat stroke and dehydration. The financial means to support yourself once you are outside of the crisis zone. If you are in a fairly localized situation, it may still be possible to gain access to debit cards and other bank funds. To maximize your chances of getting at these funds, make sure that you have at least one pre-paid debit card that is backed by a bank large enough to have branches all over the world. As may be expected, cash or coins are always the best option if you don’t want to be tracked, however then you will still need to be able to defend yourself from various thieves and other criminals. A list of skills and knowledge that you need to acquire. Make it your business to learn how to hunt, fish, build a shelter, purify water, tend basic medical needs, navigate, and defend yourself. You should also make it a point to learn at least one extended trade that you can use for barter as you move from one area to another. Even if you wind up remaining in your local area, these skills will still help you as you interact with others trying to overcome the same nightmare scenario. As you read the term “bug in bag” you may find yourself wondering why you would want to pack a set of essential gear when you have your whole home to survive in. Basically, any given scenario may make certain rooms inaccessible or other problems may limit you to a very limited space. At the same time, if you need to leave, you can cut several hours off your time by having a bag with everything you need for long term survival. Your bug in bag can be limited to essential tools that you will need to obtain water and purify it as well as tools for obtaining and preparing food. In some cases, you can follow guidelines for a bug out bag, however bear in mind that limited traveling distances and your neighborhood features may make some things useless unless you are going to bug out. For example, a classic bug out bag might include fishing gear. If you are living in an inner city, chances are you won’t be going fishing let alone catch anything that is safe to eat. On the other hand, you might find it more practical to have a paper list of all food pantries or other food preparation locations where you can get something to eat, plus seeds and suitable containers. While this won’t provide food immediately, eventually you will be able to feed yourself at home. Over the years, many preppers that have studied a wide range of scenarios conclude that it will be easier, cheaper, and safer to bug in. Sadly, these same people may be lulled into making some fatal mistakes simply because they are planning to remain in known territory where they feel safe. 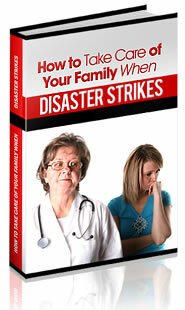 A crisis situation can turn even your home into a nightmarish, strange, and dangerous landscape. Take the time now to make sure you avoid these mistakes and you will have a better chance of thriving on your bug in plans. Do you want more of this knowledge? Subscribe to our newsletter and get our free report!